Using a pressure cooker, cook potatoes (add 1 1/2 cup water to the bottom of a pressure cooker, add the grate, then add the quartered potatoes, with skins; close pressure cooker according to your pressure cooker’s directions; bring to pressure over high heat, and cook for 3 minutes). Remove potatoes, let cool, remove skins, and cut into 1/2 inch pieces. Sauté onion in EVOO over medium heat, until translucent (about 8 minutes). 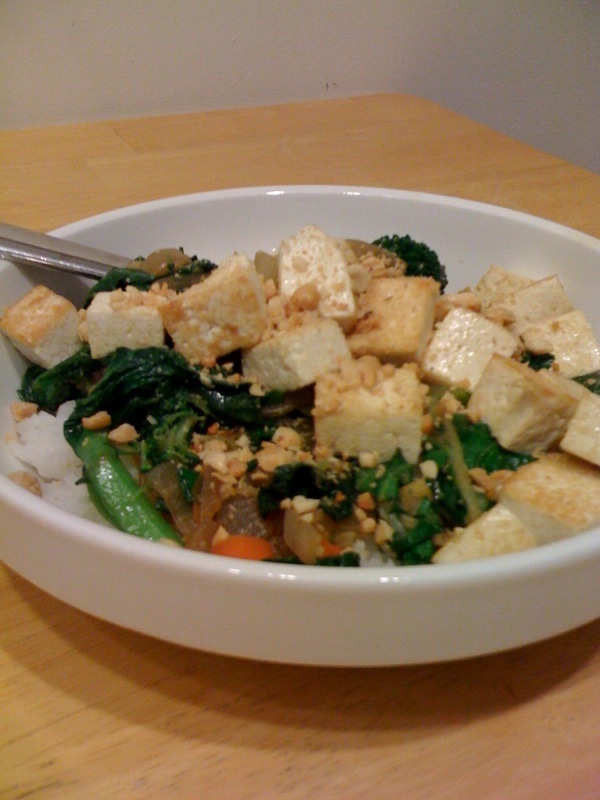 Add chopped bok choy and tatsoi. Cook over medium heat until wilted. Season with salt and pepper. Roll out pizza dough onto a ROOM TEMPERATURE pizza stone coated with cornmeal. Roll pizza dough slightly over the edges of the stone. Take the dough over the edges and slightly roll it under, to lift it off the edges and to form a crust. Bake the rolled out pizza dough on pizza stone in the oven for 5 minutes. Spread pesto evenly over pre-cooked pizza dough. 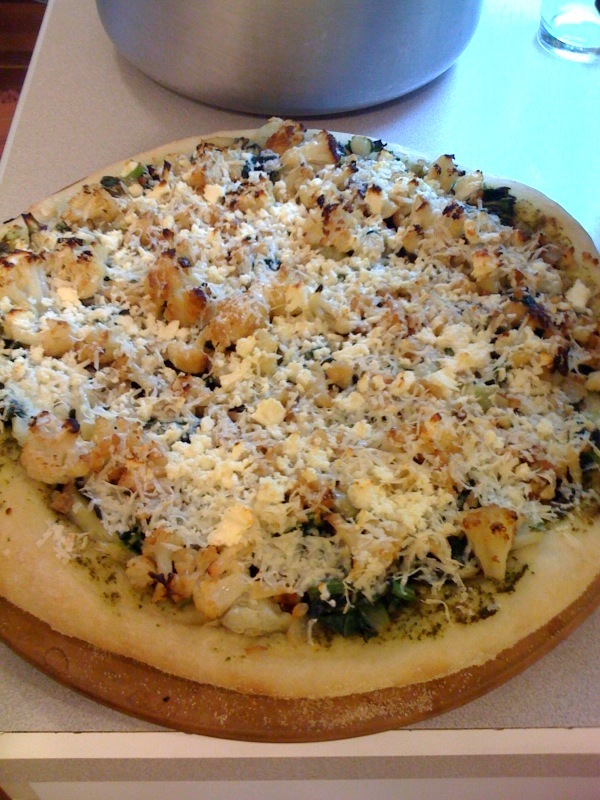 Top with Roasted Cauliflower and Garlic, sauteed bok choy and onions, and three different types of cheese. Bake at 475 for 8-12 minutes, until cheese and pizza crust begins to brown.